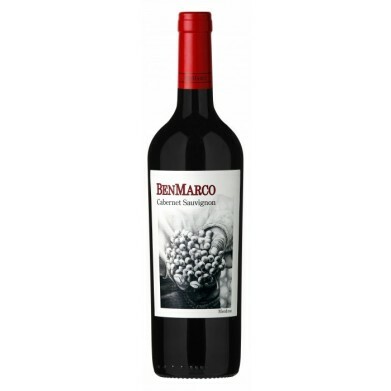 BENMARCO CABERNET SAUVIGNON for only $15.79 in online liquor store. Beautiful deep red color with perfumed aromas of ripe black cherries, strawberries and roasted cocoa beans. This wine is full-bodied and incredibly lush for a young Cabernet. It explodes on the palate with red and black fruits, then shows baking spices on its way to a mouthwatering finish. Pairs with a wide range of foods including beef, sausages, spiced or grilled pork, veal, rabbit, medium-strong cheeses, and meat-based pasta sauces.